Spiritual Growth - Can you see the growth in your life? 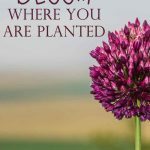 Spiritual Growth: Can you see it? As Christians, we desire spiritual growth. We want to dig deeper, go farther and stretch ourselves in our faith. We go through challenging things or experience growing circumstances. 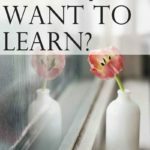 Am I growing in my spiritual walk with Jesus? Can people around me see the spiritual growth taking place in my heart? 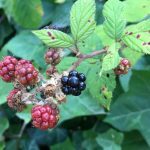 Is the fruit of my growth, the light of my developing faith visible to those around me? A few weeks ago, I walked out of my front door on my way to meet a friend for coffee and I noticed something blatantly obvious. 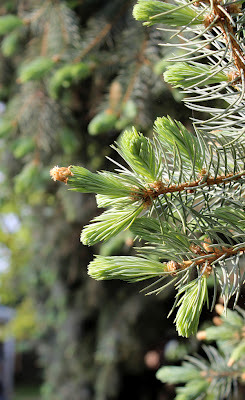 The very tops of each branch had about an inch to an inch and a half of bright green, new growth. Bright green growth. New growth. Fresh life for this bush. The obvious growth told me a few things. 1. The bush was alive. 2. The bush was healthy. 3. The bush was growing. There was no doubt in my mind that our bush was doing just fine. I turn around and saw that our pine tree looked the same. Brand new needles had burst forth from their small, sticky buds. They were also a bright green and very easily seen by my eyes. Full evidence and proof that our pine tree was growing. 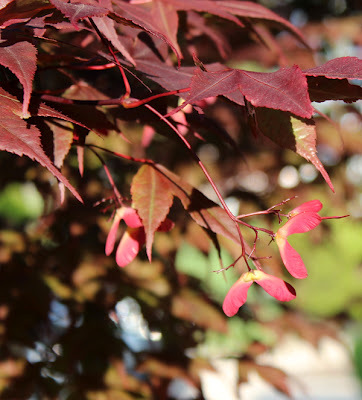 Our Japanese Maple tree was also showing signs of growth. So much so, that it was preparing tiny seeds to begin new growth somewhere else. 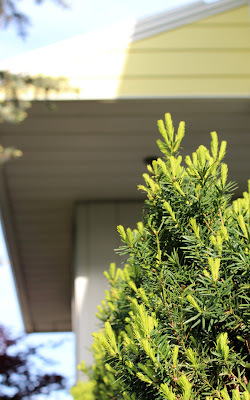 The obvious growth in these plants around our house got me thinking about growth in my life. 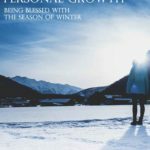 Is the spiritual growth in my life that obvious to the people around me? There was evidence proving that my bushes were growing. Is there evidence in my life to show that I am growing in my spiritual walk with Christ? Let’s look at that verse again. Gentleness is one of the Fruits of the Spirit found in Galatians 5:22-23. Since we are known by our fruits, it would make sense that any of the fruits could apply in this verse. What if we write it out like this? You fill in the blank with each of the Fruits of the Spirit: love, joy, peace, patience, kindness, goodness, faithfulness, gentleness and self-control. 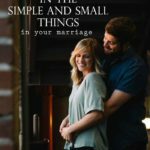 Are those things evident in your life? 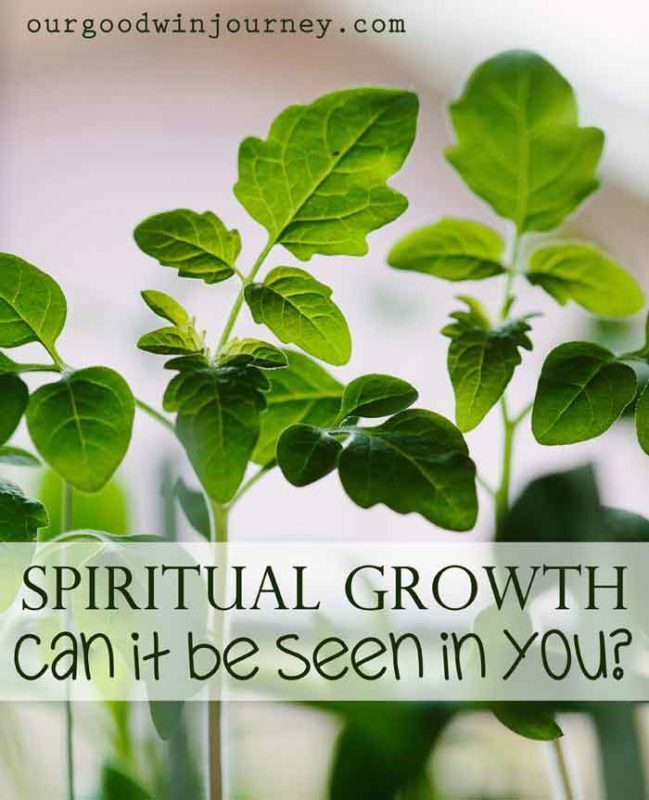 Do people see bright green spiritual growth in those areas of your life? 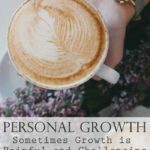 Sometimes it is easy to tell yourself that you have grown in a certain area, but is that growth evident to other people? Can they see new, fresh, obvious evidence of growth in your life? The phrase “keep in step” is a picture of movement. Specifically moving forward. Growing. Maturing. 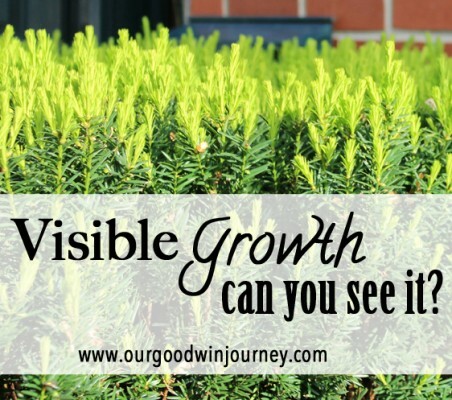 As we move forward in our walk with Christ, let us be intentional about obvious growth. Let what we are learning in our personal discipleship or Bible Study or Sunday sermons bring out growth that others can visibly see. Let this growth be seen in our friendships, our parenting, our marriages, our jobs and in the many other areas of our lives. Not just in church or with Christian friends but also in the grocery store or the ball field or the pharmacy. Everywhere we go, let this growth in Christ be evident to all.